Below you fill find all funeral homes and cemeteries in or near Nora Springs. Zip codes in the city: 50458. Some of the notable people born here have been: (louis bauman), and (arthur gratias). It was revealed on November 18th, 2018 that Clifford Charles Nagel passed on in Tucson, Arizona. Nagel was 89 years old and was born in Nora Springs, IA. Send flowers to express your sorrow and honor Clifford Charles's life. It was noted by Waterloo/Cedar Falls Courier on March 15th, 2018 that Virgil K Eckenrod passed away in Nora Springs, Iowa. Eckenrod was 88 years old. Send flowers to express your sorrow and honor Virgil K's life. It was written by Waterloo/Cedar Falls Courier on February 15th, 2018 that Maurice "Mick" Merfeld died in Nora Springs, Iowa. Merfeld was 84 years old. Send flowers to express your sympathy and honor Maurice "Mick"'s life. It was revealed by Waterloo/Cedar Falls Courier on November 28th, 2017 that Marilyn Irene Enabnit perished in Nora Springs, Iowa. Enabnit was 80 years old. Send flowers to express your sympathy and honor Marilyn Irene's life. It was written by Waterloo/Cedar Falls Courier on November 26th, 2017 that Helen J Miller (Watters) passed on in Nora Springs, Iowa. Ms. Miller was 92 years old. Send flowers to express your sympathy and honor Helen J's life. It was revealed by Waterloo/Cedar Falls Courier on May 5th, 2016 that Helen O Blunt perished in Nora Springs, Iowa. Blunt was 109 years old. Send flowers to share your condolences and honor Helen O's life. It was reported by Waterloo/Cedar Falls Courier on December 20th, 2015 that Marilyn Arlene Fischer perished in Nora Springs, Iowa. Fischer was 86 years old. Send flowers to share your condolences and honor Marilyn Arlene's life. It was revealed by Waterloo/Cedar Falls Courier on November 25th, 2015 that Beth Ermine "Betty" Parcher perished in Nora Springs, Iowa. Parcher was 94 years old. Send flowers to share your condolences and honor Beth Ermine "Betty"'s life. It was noted by Waterloo/Cedar Falls Courier on May 17th, 2015 that Lois Hattie Eckenrod (Beck) passed away in Nora Springs, Iowa. Ms. Eckenrod was 84 years old. Send flowers to express your sympathy and honor Lois Hattie's life. It was noted on March 15th, 2015 that Arthur L Gratias perished in Tucson, Arizona. Gratias was 94 years old and was born in Nora Springs, IA. Send flowers to express your sorrow and honor Arthur L's life. As of the United States Census, 2000 census, the city population was 1,532. 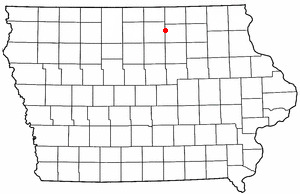 Nora Springs is a city in Cerro Gordo County, Iowa Gordo and Floyd County, Iowa Counties in the US state of Iowa, along the Shell Rock River. . . . The finest roses, gifts and Mother's Day flowers delivered fresh. Serving Nora Springs, Iowa, surrounding suburbs and the entire country. Find florists & Florists in Nora Springs, IA. Read business reviews, find driving directions, and more. florists on YP.COM. We work with local florists and flower shops to offer same day delivery. You will find budget sympathy flowers in Nora Springs here. Our funeral flowers are cheap in price but not in value.